David Arthur, the principal of Lomond School in Helensburgh, Argyll, died in December. New scholarships for 40 pupils have been launched an independent school in Argyll following the death of its founder in December. Lomond School in Helensburgh announced the grants, which fund up to half of its fees, following last year’s 40th anniversary celebrations and the death of principal David Arthur. Fees for boarding pupils are £27,750 a year, or between £8,640 and £11,970 per year for day pupils, depending on their age. Mr Arthur, who was the first principal of the school from 1977 until 1986, died on December 28, the school announced. 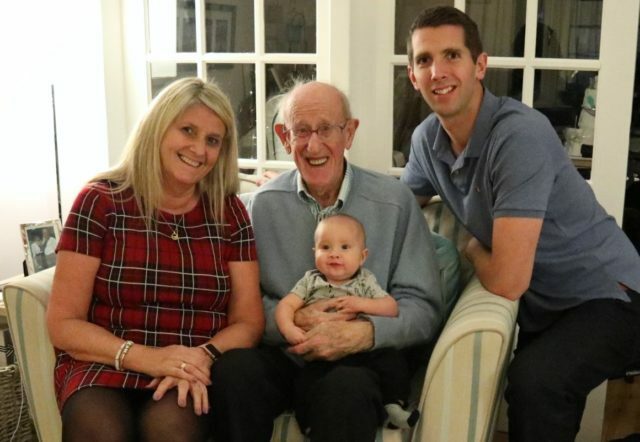 His daughter, Seonaid Brown, said: “As a family we are tremendously proud of what our father achieved in his life, especially his legacy and the ethos he left at Lomond School. The means-tested scholarships will be offered to young people who excel academically, musically and in the creative arts or in sport. Pupils aged from nine to 18 can apply before the March 29 deadline. Johanna Urquhart, principal of Lomond School, said: “As we celebrate the past 40 years of our school and look forward to the future, we are conscious of a desire to offer places to many more young people who may not ordinarily have the opportunity to attend Lomond School. “These 40 new scholarships will do just that, and we are very excited to welcome talented young people from all backgrounds to our Lomond School family.